Research suggests some 80% of golfers slice the ball – yet very few of those players own exactly the kind of driver designed to help them. sidespin that causes a slice (right-handers). The three models we’ve tested here – including draw versions of the popular TaylorMade M2 and Ping G models – look just like standard drivers, with extra weight moved to the heel to help you square the face at impact. And they’re not just designed for slicers; if you’re always the shortest member of your fourball, these clubs are meant to give you extra yards by promoting that running right-to-left shot shape. Our regular test pro Chris Ryan of The Belfry and TG Equipment Editor Simon Daddow tested each club and gave their insights how each performed. Each tester used a set-up matched to their swing and hit shots on a launch monitor. After getting insight from each tester and analysing the test data we came up with a verdict on how efficiently each driver performs, and how it might help you. All the same carbon crown tech and geocoustic engineering as the standard M2 Rory plays. TaylorMade says the D-Type has a very slight offset, the sole weighting is moved more towards the heel to ght fades and slices, and some very clever crown cosmetics mean the face angle looks completely square at address. TaylorMade has brought draw drivers to the forefront of our minds this year thanks to the massively popular M2’s D-Type option. Simon in particular is well suited to the M2 – not because he can’t hit a draw, but because his tendency is to hit drives slightly from the heel side of centre (on the face). Because the M2’s centre of gravity is on that side, it means he impacts the D-Type inline with the CG position – increasing ball speed. If we were picking a driver on looks alone the M2 would get our thumbs up all day long as its massive head just wants to be smashed! It sounds fantastic and in our opinion is one of the best- looking drivers of 2017. With up to 21 yards of draw bias the M2 definitely has the capability to help a lot of golfers. For us it might not ultimately be quite as friendly as the Ping, but we reckon it comes into its own for power when paired with a golfer who impacts shots towards the heel. The SF Tec (Straight Flight) has the same aerodynamic features as Ping’s standard G driver, but a lighter head, lighter swingweight and more heel- biased weighting help produce a right- to-left shot shape (for right handers). A counter-balanced Alta shaft also puts more weight towards the head to increase club and ball speed. 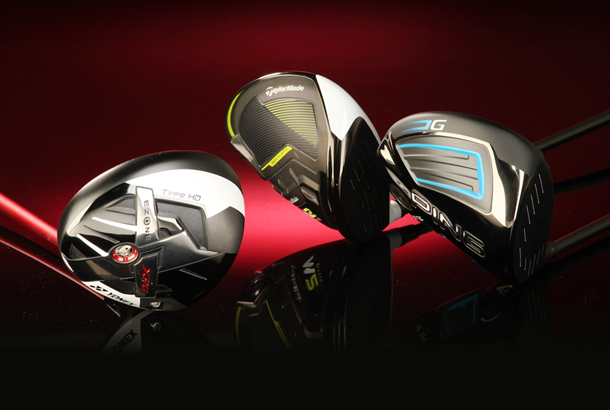 Look closely at the specs of our draw drivers and you’ll spot a bit of a trend. The SF Tec has a head 3g lighter than the standard G model and its swing weight is two points lower, too. That’s because everything about Ping’s design is geared towards increasing club speed and giving golfers who don’t typically square the clubface at impact more time to do so. Ping are absolute masters at creating some of the most forgiving golf gear available and the SF Tec’s data speaks for itself. The highest average launch angle, ball speed and carry distance (averaged across two testers) is seriously impressive. Slightly extra spin will help keep shots in the air for longer, especially at lower swing speeds. If you believe like us that hitting shots higher means you hit them further then the SF Tec is right at the front of the queue to help you hit longer, straighter drives more often. The HD has a carbon crown that covers a larger portion of the head, which means more mass is freed up to lower and deepen the centre of gravity and increase forgiveness. Yonex reckons the CG is 1.2mm lower and 2.5mm deeper (than the standard EZone XPG) and because the weight is positioned closer to the heel, you get more right-to-left shot bias. 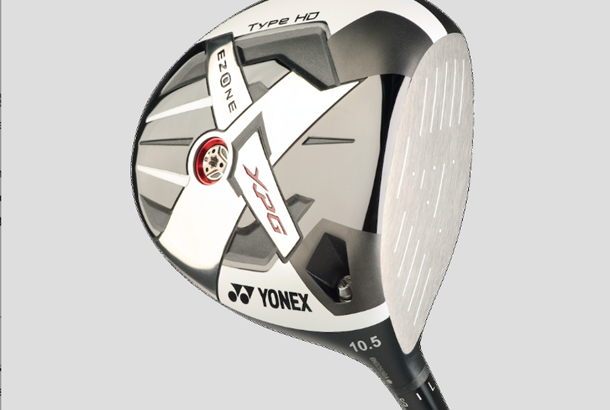 Yonex are one of the most popular golf brands in Japan, where golfers tend to have slightly lower swing speeds; that’s probably why Yonex equipment is so well optimised to work in the hands of club golfers in the UK. Both testers thought the HD’s really wide head was extremely forgiving, inviting and friendly to use on a consistent basis. The “Dual Tungsten Power System” positions more mass in the head (and grip) which we felt gave the HD a really lively and responsive feel, even for Simon at a slower swing. As far as being easy to launch the HD is right up there alongside the very best. So if you usually aim left and end up right of the target we reckon the HD has the capability to knock 10-12 yards of slice off your drives, which means you stand a much better chance of hitting the fairway. It might sound a bit bonkers, but it’s all to do with where the centre of gravity is positioned in the head, and where you impact shots on the face. Marry the two up and bingo, you’re highly likely to see a jump in ball speed. Our three test drivers were indistinguishable from the standard models at address, meaning if, like Simon, you impact lots of drives on the heel side of the face, a draw driver could well mean more ball speed and distance. Let’s be realistic – a draw driver is not a magic wand. If you’ve suffered from a big slice for years it’s unlikely a draw driver is going to iron out your banana ball flight on its own. What we would say, though, is that for golfers who typically aim left and slap balls into the right rough, draw drivers do have the capability to lower the amount of sidespin you impart. That increases distance, but also means you’re more likely to catch the right side of the fairway instead of the right rough. A few years ago a draw driver might have been offset and that’s what differentiated it from a standard model. But today, the specs between a draw and standard model are very different. Lighter swing weights, heavier or lighter head weights, different profile shafts and mass positioned differently inside the head are all common traits of modern draw drivers. Golf club engineers really are looking at the “draw” golfer as a different proposition, but we love how they’re incorporating all this new tech into heads with the same look as the most popular models. It’s killing the stigma associated with using a draw driver. Sidespin simply means energy is spent going sideways rather than upwards and forwards. Draw drivers effectively help cut sidespin through some clever head technology, so don’t be surprised if you add a few yards from the tee, even if you’re not hitting a draw. A few years ago draw drivers were solely for golfers suffering from a chronic slice... nobody else would entertain putting them into play. Trust us, all three drivers involved in this test looked fantastic at address, meaning a great looking driver can have a draw tendency without having a clubface that is really closed or offset. 6: WHERE SHOULD I AIM? The answer lies within your own game. For Simon, who doesn’t suffer from a huge slice, he was happy to aim at the left side of the fairway and cut shots back to the centre. For those suffering with a slice we’d say do what you always do and monitor the difference. Who knows, give it a few months and you might be working shots from right-to-left, too.